One moment, I was opening the door to who ever had knocked and the next moment, I had Phil lying on top of me, practically eating my face! I didn’t know what to do, as much as I hated Phil before I had left, he had been playing on my mind ever since I had got to London. I’d even dreamt about him most nights and wished that I could be with him. No way could I have feelings for him! I was a straight guy, wasn’t I? I loved Katie, not Dan or at least I thought I did. 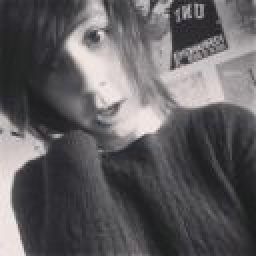 Maybe I didn’t love her; maybe I was just making myself believe I did, so that I didn’t have to admit my love for Phil. No! 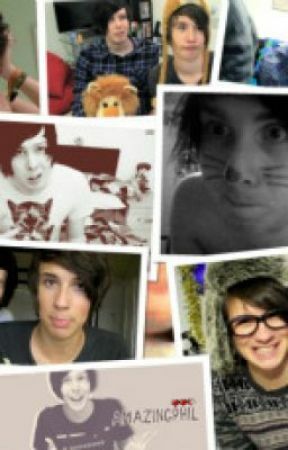 What was I even thinking, I didn’t love Phil, end of. However, while I’d been thinking and trying to get my thoughts straight, Phil had  managed to unbutton my shirt and was still lying on top of me, trying to take my shirt completely off and throw it across the room. “Phil?” I asked him. Phil took his lips away from mine for a moment and looked into my eyes. “Yes Dan?” I got a strong smell of alcohol. Oh, so Phil had been drinking, it would explain his crazy behaviour. I bet he didn’t really have feelings for me anyway. I hoped he didn’t have feelings for me. “You’re drunk Phil, maybe you should leave.” I said and tried to prise his finger away from my arms so that I’d be able to push him away and stand up. “B-but I love you Dan, I don’t want to leave” He slurred and his grip got tighter around my arms. “Phil, please leave!” I winced in pain as Phil’s finger nails dug into my skin. “But I love you!” Phil cried and tears began streaming down his cheeks. “I can’t think of anyone but you! Just one night, please. Just one night,” he whined and looked at me with so much sadness. “Th-thankyou Dan, I’ve just missed you so much,” Phil slurred and pulled out a bottle of vodka. “How about we have some fun?” The vodka in front of me looked so appetising and I was thirsty that I agreed to have a drink, then another, then another and then another. Both Phil and I were so drunk we could hardly stand by 2 am. I dragged myself to bed and we wrapped our arms around each other. “I love you Phil,” I mumbled just before I fell asleep. I was awoken by a sudden knock on the door. “Room service,” the person cheerfully sung. I was jolted awake, it was Katie! I turned to look beside me and there was Phil. We were both completely naked and I had a pretty good idea as to what we had done last night, but I didn’t want it to be true. I had slept with Phil.